The website links to the “Go College New York” website also sponsored by HESC. This is more of the common one-stop shopping website. It doesn’t bother with its own college search engine, it just sends you to the College Navigator website. Users will find the usual checklist for high school students by year. There is a college fair calendar and a college planning worksheet. Students can watch a series of videos comparing two students, one who goes to college, one who doesn’t. Students interested in transferring from a community college to a State University of New York school should visit SUNY’s course equivalencies page. Otherwise, they should check with the schools they are interested in transferring to for more information. If you’re looking for help in completing the FAFSA, College Goal NY offers help as part of the College Goal Sunday program. There are 124 four-year New York colleges with 500 or more full-time undergraduates. Unlike other states, a slight majority (51.4%)of the 539,582 full-time students attend the state’s 84 private colleges compared to the 40 public institutions (48.6%). 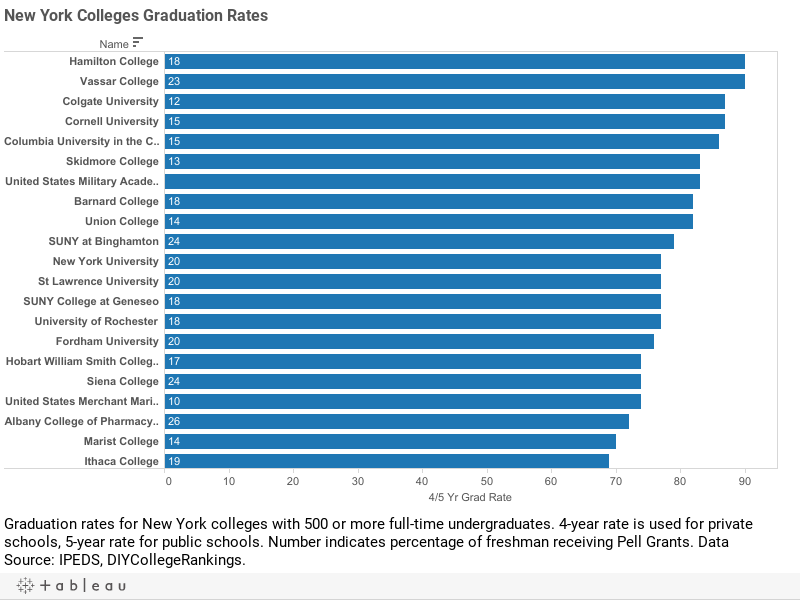 The average four-year graduation rate for private New York colleges is 49.2% and the five-year rate for public-institutions is 49.4%. 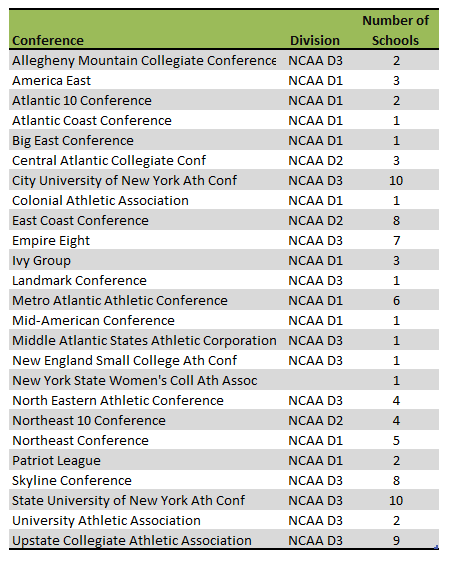 A total of 37 schools meet the DIY College Rankings 50-50 profile requirements. The average SAT Critical Reading score for college-bound seniors in New York was 488 and the math scores was 502. The 75th percentile scores were 560 and 590 respectively. A total of 54 colleges had 75th percentile scores were equal to or higher in both categories.